These practices go hand-in-hand with acupuncture and other forms of Traditional Chinese Medicine. As with acupuncture these arts have been practiced for thousands of years. Studies have shown they improve muscular strength, flexibility, balance, immunity, pain relief as well as improving overall quality of life. The focus is on coordinating the mind and body through movement and breath. Tai Chi is easily approachable for any age or skill level, but its breadth and depth inspire people to commit to a lifelong journey of uncovering its treasures of health and longevity. Practicing the movements of these forms are also induce a sense of serenity and relaxation as they help you become aware of your body’s own internal healing properties. Integra employs the teachings of Tai Chi & Qigong in two ways. We offer stand alone group and private classes for those interested in learning the art, we also combine them as therapy that go hand in hand with acupuncture as treatment. It is important to convey the need of regaining or maintaining mobility during treatment, as well as detoxifying the body through coordinated breathing & movement. Our staff aids in modifying any Tai Chi & Qigong to the therapeutic needs of each individual. Melissa earned her medical degree from China and has practiced acupuncture both in China and the United States for over 25 years. 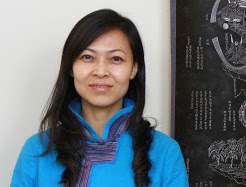 She has combined her extensive knowledge of Traditional Chinese Medicine (TCM) and Qigong with the art of Tai Chi to help improve her patient’s health and well-being. Melissa was a disciple in TCM under Master He Pu Ren, a Chinese-renowned TCM physician and Neijia (internal martial arts) master who was honored as one of China’s “Living Treasures”. Under Master He Pu Ren she studied not only TCM but also medical qigong and other Taoist internal arts.